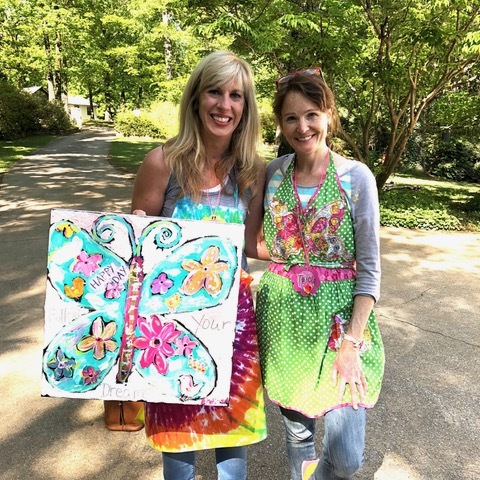 Tricia’s Grown Up Girl’s Art Camp! “Let the favor of the Lord our God be upon us—and establish the work of our hands upon us—yes, establish the work of our hands." 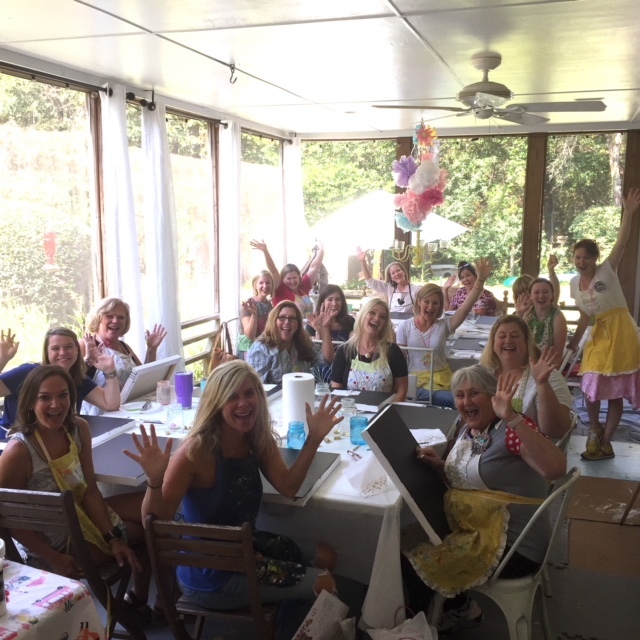 Join me for a fun and whimsical art retreat in my home and studio as we paint happy! 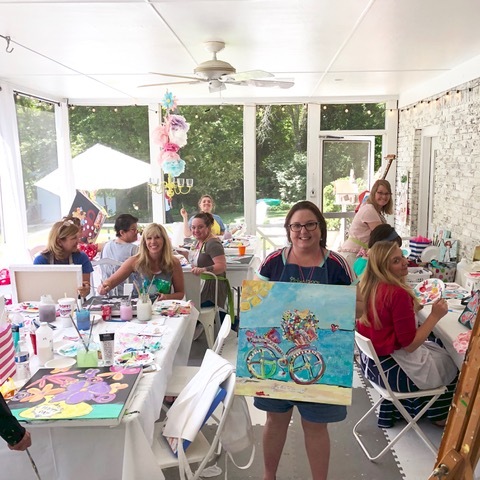 We’ll learn more about layering with paper and paint, adding texture and color, and being free with form and shape, all the while painting with a joie de vivre! The weekend will be filled with fun conversations, teaching, sharing stories, hands-on creating, and laughter. 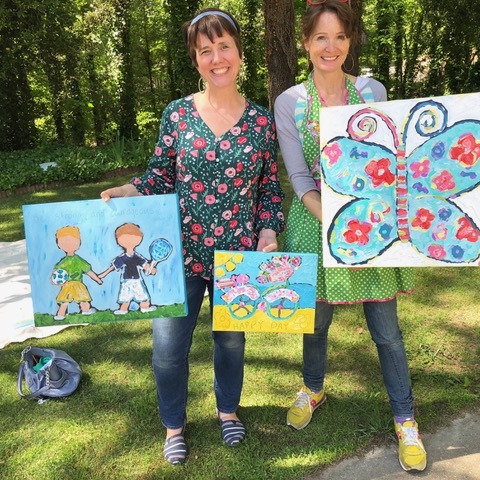 You will take home several paintings you have made and the emphasis is on—total PLAY! 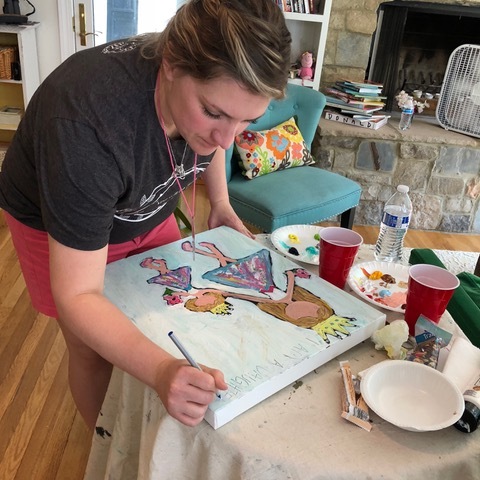 There will be time for exploring around the "Alice in Wonderland" garden and yard, sitting by the pool and being inspired by the outdoors and maybe even seeing our friendly owls, cardinals, and resident deer. 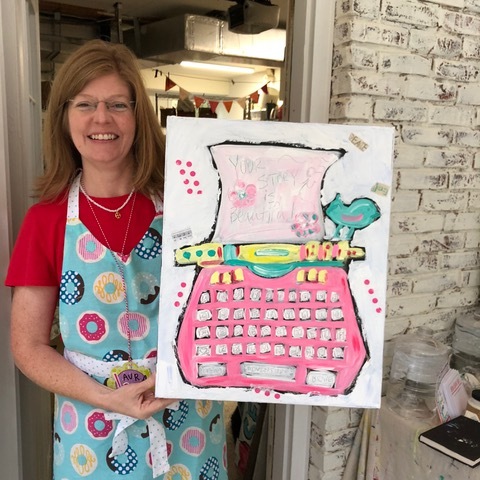 My hope is you will leave with hearts full, happy paintings, and your creativity energized! It’s so fun to gather creatives under one roof to share our stories and creative experience with another. Also, I love seeing how a weekend of creating will spark your imagination in the land of “imagining, making' and painting” at home too! Lots of fun art supplies to make paintings. 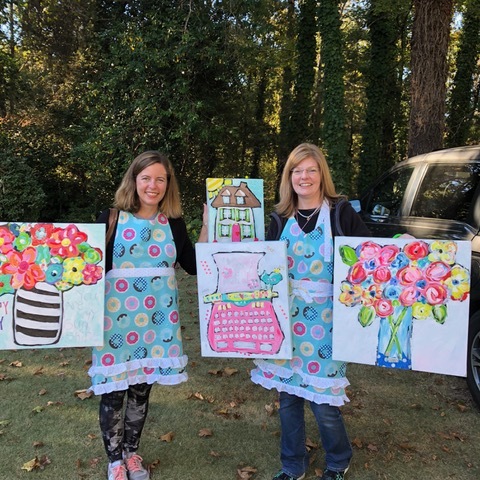 Fun colorful paint and different size canvases. When you arrive Saturday morning, you’ll be welcomed with happy mimosas and snacks. 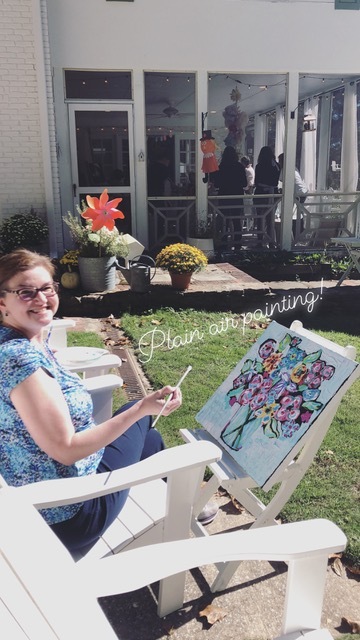 We’ll spend our painting days out on the porch (weather permitting) learning different techniques of painting with acrylic and also using all types of paper for mixed media paintings. I’ll share secrets of what I use in my paintings and my favorite art tools. Plus, will share about making different series of paintings from inspiration and imagination. 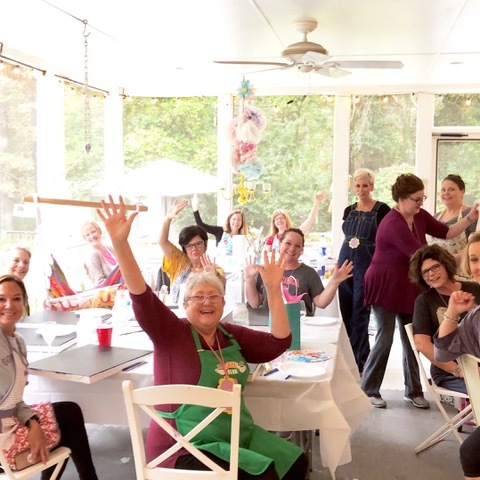 We will paint with palette knives and brushes and this retreat is for both beginners or seasoned artists that have been painting for years. Our focus is on having a playful spirit and enjoying the process. Lunch will be by the pool and garden area. At the end of day one, I’d love for you to join me for a catered dinner (this is not included) at my home or you may want to explore the city and relax. 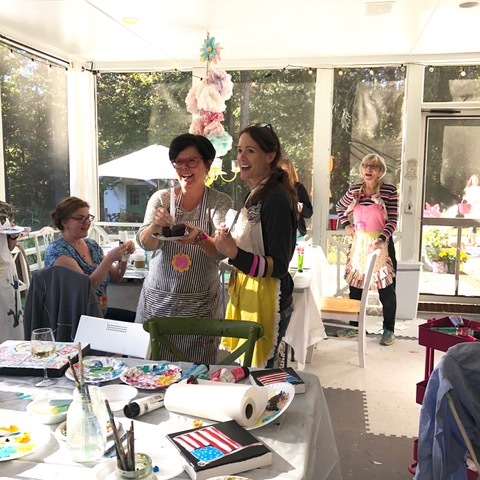 Sunday: 10:00am-4:00pm — Full day of painting and making. Lunch on site. Closing cocktails and snacks as we say our goodbyes. Lodging is not included but recommendations available upon request. $395 – Cost for weekend retreat. 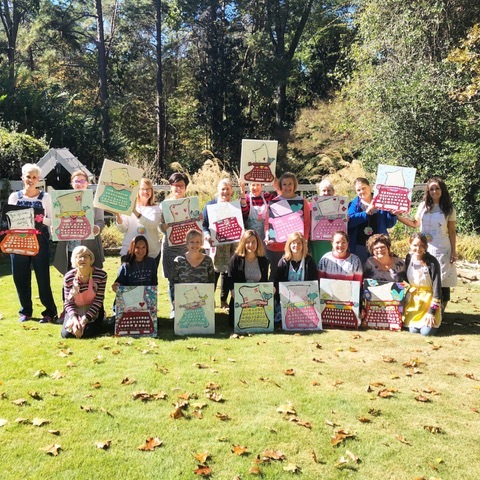 HERE ARE SOME PHOTOS FROM PREVIOUS RETREATS!